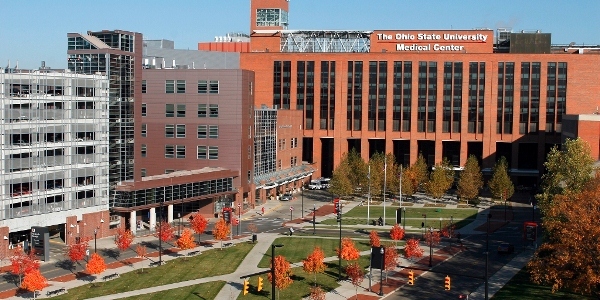 The Ohio State University Wexner Medical Center will soon launch a study aimed at improving patient adherence to its cardiac rehabilitation program by harnessing the power of big data and social networking. The study, conceived by Lise Worthen-Chaudhari, Research Assistant Professor of Physical Medicine, and Dr. Martha Gulati, Director of Preventive Cardiology and Women’s Cardiovascular Health, will use data from past cardiac patient histories to construct a new rehabilitation program. The program will incorporate text messaging to encourage patients to go to sessions. Farsite, a data analysis company in Columbus, will help the medical center perform statistical analysis on the historical data to see which factors are most telling in adherence or non-adherence to rehab. Though the project is still in the beginning stages of data collection, two factors that have popped up the most are health insurance and type of patient employment. Worthen-Chaudhari has done much research on social intervention in the health care space and envisioned using it in cardiac rehab. She, Gulati and Gold deemed text messaging the most appropriate method of social intervention. “We tried to think about how we can take the core principles that bring meaning and power to social media, and do it in such a way that’s more accessible to the patient population that’s most likely to suffer from a heart attack, which are older people,” said Gold. Family and friends of the patient will write out text messages to the patient ahead of time, encouraging them to go to their sessions. Farsite will bank these texts and send them to the patient throughout the program. Worthen-Chaudhari is passionate about the role of family and friends in the rehabilitation process. “The idea that we might be able to help not only cardiac heart failure patients but help their loved ones help the patient as well—I love that,” she said. Worthen-Chaudhari foresees big data continuing to transform the health care industry.